At a time of digital transformation, organizations need to implement effective tools to work, collaborate and communicate with colleagues and partners, both inside and outside the office. 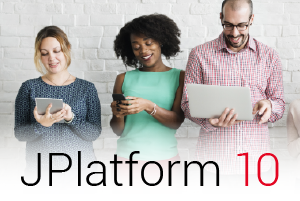 Jalios Digital Platform 10 (JPlatform in short) brings together your knowledge, your employees and their interactions within your organization. 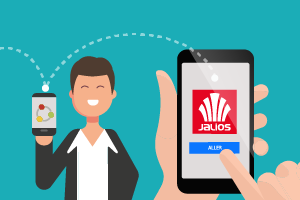 With the JLab, Jalios gives priority to collective intelligence to accelerate its innovation. 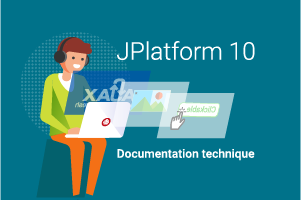 This space allows all Jalios Community users to access the evaluation areas of future Jalios Digital Platform modules (the JLabs). You will thus have the opportunity to test the new features ahead of time, to let us know your opinions, your evolution requests and to detect any anomalies. Check out what the new version of our solution can provide. Download new apps to enrich your applications. Test new features of our Apps in prerelease. Feedback, topic. We talk about them here! A question? We have the answer. There are 3 members and 43 visitors.